Guia Oil & Gas Brasil - O maior portal de negócios da cadeia produtiva de petróleo e gás. Due to the great need of the Brazilian oil sector companies to find fast and objective information on suppliers of products / services in the country's various regions, we present the newest portal Guia Oil & Gas Brazil, an updated database with over 8,000 registered companies by activities and easy access. Growing sector's demand makes it an indispensable guide for companies, containing public nature information such as name, address, phone, fax, e-mail and website in one place. simplified formatting Guia Oil & Gas's Brazil enables the company include: logo; unlimited number of photos, whether of products or services, institutional presentations in any files (PowerPoint, PDF, Word, etc. ), plus unlimited space for corporate videos. Any accredited company has full freedom to manage and update their information in the Guide, with an intuitive and easy to use system. Do not waste time. Include your business information! Welcome. Malaysia's Velesto Energy, formerly known as UMW Oil & Gas, has been awarded contracts for the provision of four jack-up drilling rigs by Petronas Carigali. South Korean shipbuilder Samsung Heavy Industries has received an order to build a floating production storage and offloading (FPSO) vessel for an unnamed Asian client. The international oil & gas advisory and classification society DNV GL has secured a three-year contract across the Dana Petroleum operated assets on the United Kingdom Continental Shelf (UKCS). Tender rig specialist Atlantica Tender Drilling has received a contract extension for one of its units with Petrobras in Brazil. Oil and gas company Tailwind Energy has agreed with EOG Resources to acquire EOG's UK business. U.S. oil and gas company Anadarko has shut down production and evacuated workers from two of its platforms in the Gulf of Mexico ahead of Tropical Storm Gordon. Australian offshore regulator has granted Melbana Energy the approval to suspend the deadline for completion of the current WA-488-P permit year work obligations by 15 months. Norwegian offshore workers have extended their strike to additional 19 offshore units after the strike started last week on nine offshore rigs and platforms over pay disagreement. The merger between offshore vessel specialists Tidewater and Gulfmark will create the world's largest OSV fleet owner, with the second-ranked highest valued OSV fleet. Oilfield services provider Wood has launched the next phase of a collaborative industry effort to develop a better understanding of the reliability of subsea equipment for use offshore Australia. UK independent Chrysaor is starting a new drilling campaign in its UK portfolio in partnership with Baker Hughes, a GE company. India's ONGC has started commercial production at its Onshore Gas Terminal Plant in Odalarevu, Andhra Pradesh by processing gas from three offshore wells. Deep Sea Mooring (DSM), a Vryhof company, has started providing mooring equipment, design, and marine supervisory services to Maersk Drilling in Trinidad. U.S. Interior Secretary Ryan Zinke in January said Florida would be exempted from the recently drafted plan to open almost the entire U.S. coast for offshore drilling. U.S. oil and gas major ExxonMobil has added 2.7 billion oil-equivalent barrels of proved oil and gas reserves in 2017, replacing 183 percent of production. UK oil and gas company Premier Oil has confirmed the first oil from its Catcher field in the North Sea remains on schedule for December. Corvus Energy's Orca energy storage system (ESS) has been selected to provide battery power to one of Farstad Shipping's platform supply vessels (PSVs). French oil company Total has started up production from the Moho Nord deep offshore project, located 75 kilometers offshore Pointe-Noire in Congo. Aker Solutions hires David Currie as head of its UK business to help lead the company's expansion in a key market. Petrobras launched new regular and premium ultra-low-sulfur gasoline throughout Brazil on January 1, 2014, entirely replacing the previous regular and premium gasoline. The Petrobras' P-55 platform, one of the strategic projects in the 2013-2017 Business and Management Plan, started-up the last Tuesday (12/31/13) in Campos Basin's Roncador field. 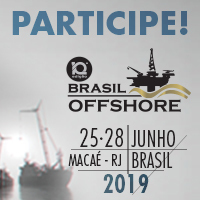 This Monday, December 30th, 2013, Petrobras finalized the sale of its 35% stake in the Parque das Conchas (BC-10) offshore project for US$ 1.636 billion. Technip and China Offshore Oil Engineering Co. Ltd (COOEC), the largest offshore engineering and construction company in China, have signed an joint-venture agreement in September. The Government of the Sultanate of Oman and BP have today signed a gas sales agreement and an amended production sharing agreement for the development of the Khazzan field, with BP as operator. After due consideration by its Board of Directors, Petrobras has decided on the new diesel and gasoline pricing policy to be implemented as from November 29th, 2013. Petrobras and Embrapa are developing new technology for sugar cane production. The project will generate knowledge for the expansion of sugar cane production for the ethanol market. Petrobras signed the Premium II Refinery indigenous agreement in Fortaleza (CE) on last Friday (22/11) as part of licensing process to start construction work on the refinery. Aker Solutions ASA secured a two-year option agreement extension valued at NOK 3 billion from Statoil ASA to provide maintenance and modifications work offshore Norway. Aker Solutions agreed today to sell its well-intervention services business area to EQT, a Swedish private equity fund, for an enterprise value of NOK 4 billion. Petrobras has completed drilling another well in the Franco area (Santos Basin pre-salt), included in the Right's Transfer agreement. The Executive Chairman Øyvind Eriksen will together with members of the executive management team provide an update on Aker Solutions' strategy and development. In response to Typhoon Haiyan, the BP Foundation is donating $200,000 to the Philippine Red Cross to provide assistance and aid to victims and their families during the ongoing recovery effort. Yesterday (11/11) Petrobras started up production on platform P-63, connected to well PPT-12, in the Papa Terra field, located in the southern Campos Basin. Sales were NOK 10.9 billion in the third quarter of 2013, compared with NOK 11.2 in the third quarter of 2012. The new expiration date of the TRS agreement is 2 May 2014. The exercise price on the agreement is NOK 83.633349 per share. In response to news published today (October 29th) about a potential new capitalization, Petrobras announced that the management has ruled out any new share issue. Petrobras has completed the drilling of well 3-BRSA-1183-RJS (3-RJS-713), known as Bracuhy, located in block BM-S-24, in the Santos Basin pre-salt. Buenos Aires, October 15, 2013. Technip was awarded by LLOG Exploration Offshore L.L.C. a substantial(1) contract for the development of the Delta House field, located in the Mississippi Canyon area of the US Gulf of Mexico. Technip will publish its Third Quarter 2013 results on Thursday, October 31, 2013 at 7:00 a.m. CET. The press release and slide presentation will be available from our website: www.technip.com. Aker Solutions ASA awarded a total of 300,849 own shares as bonus shares to qualified employees as part of the company's 2011 share purchase programme. Petrobras announces that its Board of Directors, in a meeting held today, approved the sale of 100% of the shares issued by Petrobras Colombia Limited (PEC) to Perenco for US$ 380 million. Royal Dutch Shell plc (the 'Company') today announces the appointment of John Abbott as Downstream Director with effect from October 1, 2013. Today BP announced the appointment of Geoff Morrell to the position of Senior Vice President in charge of the newly formed U.S. Communications & External Affairs organization. Aker Solutions generated revenue of NOK 11.9 billion in the second quarter of 2013, compared with NOK 11.9 billion in the second quarter of 2012. With a capacity to process 140 thousand barrels of oil and compress one million m3 of gas per day, the unit connects the production system in the Papa Terra field, in the Campos Basin post-salt. Technip was awarded two contracts, worth a substantial(1) total value, to supply flexible pipes for the Egina field operated by Total Upstream Nigeria Ltd, offshore Nigeria. Petrobras announces it has completed the drilling and formation test of the fourth exploratory well at Iara area, block BM-S-11, in the Santos Basin pre-salt. Oceaneering International, Inc. announced it will release its second quarter earnings on Wednesday, July 24, 2013, after 5:00 p.m. Eastern (4:00 p.m. Central). Shell, and its partners, are expecting to boost production with two new deepwater projects at Parque das Conchas (BC-10) and the Bijupirá/Salema fields. Aker Solutions has acquired UK specialist engineering company International Design Engineering And Services Ltd (I.D.E.A.S) to boost its asset integrity management services. Petrobras has announced that, as of mid-May 2013, it began using the practice known as Hedge Accounting for export business. Super tug Fairmount Glacier has delivered rig Falcon 100 safely offshore Pointe-Noire, Congo. The rig was towed from Rio de Janeiro via the South Atlantic Ocean over a distance of over 3.400 miles. Technip will publish its Second Quarter 2013 results on Thursday, July 25, 2013 at 7:00 a.m. CET. 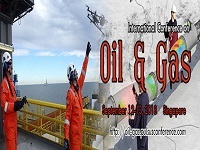 The press release and slide presentation will be available from our website: www.technip.com. On May 18, Petrobras set a new pre-salt production record, with output of 322,100 barrels of oil per day (bpd), 11,000 bpd up on the previous record of 311,500 bpd (April 17). The Aker Solutions unit won the Woelfel Best Mechanical Engineering Achievement Award for its Riser Safety System (RSS). Operating profit reached R$ 9,849 million, up 72% on the previous quarter due to readjustments in the price of diesel and gasoline, lower import costs and lower operating expenses. Saipem has been awarded new E&C Offshore contracts in Latin America for the total value of approximately $500 million. Technip will publish its First Quarter 2013 results on Thursday, April 25, 2013 at 7:00 a.m. CET. The press release and slide presentation will be available from our website: www.technip.com. Tug Fairmount Sherpa has safely delivered rig GSF Arctic I in Las Palmas. The rig has been towed from offshore Rio de Janeiro, Brazil, to Las Palmas de Gran Canaria, Spain. Tug Fairmount Summit has delivered rig SSV Catarina offshore Angola. The rig has been towed from Okpo, South Korea, via Strait of Malacca and Cape of Good Hope towards Angola. Technip publishes its "Document de Référence 2012"
Technip's “Document de Référence 2012” was filed with the French “Autorité des Marchés Financiers” (AMF) on March 20, 2013. Aker Solutions has signed a contract with ExxonMobil for the supply of subsea umbilicals for the Erha North phase 2 development in Nigeria. Aker Solutions, the international oil services provider, has secured a NOK 650 million (GBP 70 million) contract with BP to help redevelop one of the largest oil fields in the UK sector. The Board of Directors of Saipem S.p.A. has approved the Saipem Group Consolidated Financial Statements as at December 31, 2012, which reported net profit of €902 million (€921 million in 2011). In Egypt, Saipem has been awarded by Burullus Gas Company a contract for the development of the West Delta Deep Marine Phase IXa Project about 90 kilometres off the Mediterranean Coast of Egypt. Aker Solutions confirms that the transaction to buy a majority stake in Enovate Systems Limited, a leading technology company within subsea well control equipment, has been closed. Aker Solutions har som en av flere leverandører blitt tildelt en rammeavtale med Statoil for leveranse av undervannstjenester på norsk sokkel. Index represents companies with best performance in sustainability. On Saturday, February 16, Petrobras started up oil production on the FPSO Cidade de Itajaí in the Baúna field (block BMS-40), in the Southern Santos Basin post-salt cluster. Petrobras announces that oil has been discovered in the Santos Basin pre-salt area known informally as Florim, following the drilling of a sixth well since the Rights Transfer Agreement was signed. •Net profit for 2012 amounted to €902 million, -2.1% compared to 2011. •Net profit for the fourth quarter of 2012 amounted to €180 million, -30.2% compared to the fourth quarter of 2011. 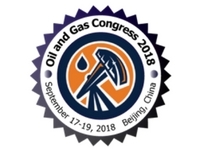 Gran Tierra Energy Inc. a company focused on oil exploration and production in South America, today provided updates for its exploration drilling in Peru and appraisal drilling in Colombia. Saipem announces today that it has been awarded new contracts worth approximately €3.2 billion. We invite investors, analysts and media to the results presentation, to be held at Aker Solutions' new headquarters. In an update with investors today, Shell CEO Peter Voser said the company is delivering on its strategy and he reiterated growth plans while spelling out strategic priorities.